IMO2020 is an opportunity for the marine fuel supply chain to "band together", according Bureau Veritas' testing agency Verifuel. 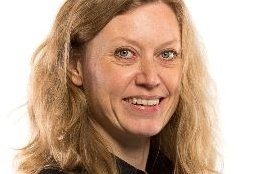 Senior technical manager at the company Charlotte Røjgaard has said it is time to "dispel increasingly outdated bunker fuel delivery processes and procedures". "A lack of transparency does not adequately serve the interests of the ship owners, shipmanagers, operators, or charterers. Instead of pulling in different directions," Røjgaard said in a statement released today. "We need to work collaboratively for the greater good of the industry. "VeriFuel believes that trust is absolutely critical to achieving greater co-operation and transparency," according to Røjgaard. BV would share information on the technical elements rather than contentious and commercially sensitive details, she said. The International Maritime Organisation's 0.5% sulfur on marine fuel will usher in a multi-fuel era, representing a big change for an industry used to dealing with one main grade of fuel. Oil companies and bunker players are producing new and blended fuel grades to meet the new requirement but concerns remain over what a multi-fuel market will mean for ship operators, particularly on the compatibility of different grades of bunker fuel. Verifuel said that understanding how these fuels will impact fuel systems and engines is vital, "making the need for transparency far more crucial". Røjgaard is global technical manager for marine fuels at Bureau Veritas.